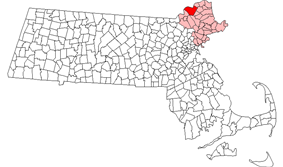 Nickname(s): Formerly "The Shoe City"
Haverhill ( ) is a city in Essex County, Massachusetts, United States. The population was 60,879 at the 2010 census. 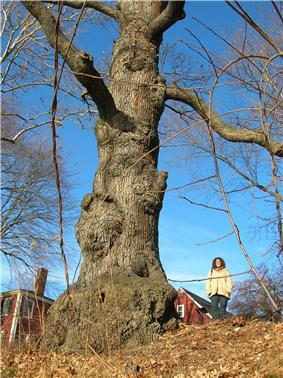 Located on the Merrimack River, it began as a farming community of Puritans, largely from Newbury Plantation. The land was officially purchased from Pentucket Indians on November 15, 1642 (a year after incorporation) for three pounds, ten shillings. Pentucket was renamed Haverhill and would evolve into an important industrial center, beginning with sawmills and gristmills run by water power. 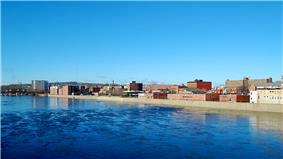 In the 18th and 19th century, Haverhill developed woolen mills, tanneries, shipping and shipbuilding. The town was for many decades home to a significant shoe-making industry. By the end of 1913, one tenth of the shoes produced in the United States were made in Haverhill, and because of this the town was known for a time as the "Queen Slipper City". The city was also known for the manufacture of hats. Haverhill residents were early advocates for the John Quincy Adams presented the Haverhill Petition on January 24, 1842. Even though Adams moved that the petition be answered in the negative, an attempt was made to censure him for even presenting the petition. In addition, poet John Greenleaf Whittier was an outspoken abolitionist. In 1897 Haverhill annexed the town of Bradford. Bradford had previously been part of the town of Rowley. At the time, this was regarded as a promising move for Bradford, given the wealth and prosperity of the manufacturing center in Haverhill. Haverhill's international prominence in shoe manufacturing waned, however, after the Great Depression. Historians also cite a lack of reinvestment in newer plants and equipment, as well as competition from less expensive imports as reasons for the erosion of the industry. Haverhill became the first American city with a socialist mayor in 1898 when it elected former shoe factory worker and cooperative grocery store clerk John C. Chase. Chase was re-elected to this position in 1899 but defeated the following year. In the 21st century, downtown Haverhill has undergone a renaissance of sorts. Housing trends, combined with a rezoning by the city led by longtime Mayor James Fiorentini and the use of Federal and State brownfield's money to clean up abandoned factories, resulted in the conversion of several abandoned factories into loft apartments and condominiums. There has been a total of $150 million in public and private investment in the downtown old factory district area. Additionally, the Washington Street area gained new dining and entertainment spots, and federal, State and local funds contributed to removing an abandoned gas station on Granite Street, cleaning up the site and converting it to a 350-space parking garage. The city was able to obtain Federal, State and local money to put in a new boardwalk and boat docks downtown. Recently, the city completed a rezoning of downtown proposed by Mayor Fiorentini designed to encourage artist loft live work space and educational uses for the downtown area. Despite the city's efforts, old buildings remain vacant or underutilized, such as the former Woolworth department store – boarded up for 40+ years at the intersection of Main Street and Merrimack Street. Recently a group purchased that building with the intention of redeveloping it, however those plans fell through. In February 2014, it was announced that plans were made to redevelop "Whites Corner" by demolishing the vacant Woolworth building along with other surrounding buildings including the former Newman's Furniture, Ocasio Building, replacing them with the new mixed-use project called Harbor Place. Those buildings along with other smaller ones were officially demolished as of March 19, 2015 making way for the construction of the Harbor Place project. Haverhill is the home of the main campus of Northern Essex Community College. Until its closing in 2000, Bradford College provided liberal arts higher education in Haverhill. In 2007, it became the new home of the Zion Bible College, now called Northpoint Bible College. Recently, The University of Massachusetts at Lowell (U-Mass Lowell) has announced its intention to locate a satellite campus in Haverhill and has begun teaching several courses at Northern Essex Community College. 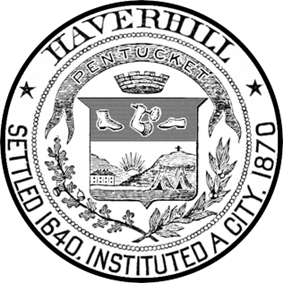 Haverhill is located at (42.778090, -71.084916). According to the United States Census Bureau, the city has a total area of 35.6 square miles (92.3 km2), of which 33.0 square miles (85.4 km2) is land and 2.7 square miles (6.9 km2), or 7.47%, is water. The city ranks 60th in the Commonwealth in terms of land area, and is the largest city or town in Essex County. Haverhill is drained by the Little and Merrimack rivers, the latter separating the Bradford section of town from the rest of Haverhill. The highest point in the city is found on Ayers Hill, a drumlin with two knobs of almost equal elevation of at least 335 feet (102 m), according to the most recent (2011-2012) USGS 7.5-minute topographical map. The city also has several ponds and lakes, as well as three golf courses. Haverhill lies along Interstate 495, which has five exits throughout the city. The town is crossed by five state routes, including Routes 97, 108, 110, 113 and 125. Routes 108 and 125 both have their northern termini at the New Hampshire state border, where both continue as New Hampshire state routes. Four of the five state routes, except Route 108, share at least a portion of their roadways in the town with each other. Haverhill is the site of six road crossings and a rail crossing of the Merrimack; two by I-495 (the first leading into Methuen), the Comeau Bridge (Railroad Avenue, which leads to the Bradford MBTA station), the Haverhill/Reading Line Railroad Bridge, the Basiliere Bridge (Rte. 125/Bridge St.), the Bates Bridge (Rtes. 97/113 to Groveland) and the Rocks Bridge to West Newbury, just south of the Merrimac town line. In 2010, a project began to replace the Bates Bridge, 60 feet (18 m) downstream, with a modern bridge. The project is expected to take two to three years and cost approximately $45 million. MBTA Commuter Rail provides service from Boston's North Station with the Haverhill and Bradford stations on its Haverhill/Reading Line. Amtrak provides service to Portland, Maine, and Boston's North Station from the same Haverhill station. Additionally, MVRTA provides local bus service to Haverhill and beyond. The nearest small-craft airport, Lawrence Municipal Airport, is in North Andover. The nearest major airport is Manchester-Boston Regional Airport in Manchester, and the nearest international airport is Logan International Airport in Boston. In the city the population was spread out with 25.7% under the age of 18, 7.7% from 18 to 24, 33.5% from 25 to 44, 20.4% from 45 to 64, and 12.8% who were 65 years of age or older. The median age was 36 years. For every 100 females there were 90.3 males. For every 100 females age 18 and over, there were 85.7 males. George Washington visited the city on his victory tour in the 1790s, and proclaimed that Haverhill was "one of the most beautiful villages". In honor of his visit, the city renamed a portion of Merrimack Street to Washington Street, and Washington Square Park was also named in his honor. Henry Ford acquired one of the city's historic bridge toll booths and installed it in his Greenfield Village in Dearborn, Michigan. It is thought that Ford's project was, in part, an inspiration for the historic Old Sturbridge Village in central Massachusetts. Another industrialist was so impressed with the design and elegant proportions of the White Church at the Bradford Common that he had the church measured and raised funds to have several replicas built around the United States. Among the city's other notable visitors were a number of presidents, and the young Henry David Thoreau who visited the city in his professional capacity as a land surveyor in the 19th century. The artist Henry Bacon (painter) (1839–1912) was born in Haverhill. Hollywood mogul Louis B. Mayer got his start in show business by operating a chain of theaters in downtown Haverhill. Former whaler Rowland H. Macy established his first dry goods store on Merrimack Street in 1851, on the site of the present A-1 Deli. That store was the precursor to his later Macy's stores, and he held his first Thanksgiving Day parades in downtown Haverhill. Haverhill is one of the main inspirations for the comic Archie. The comic's creator, Bob Montana, lived in Haverhill and attended Haverhill High School from 1936 to 1939. He based Riverdale High School on the old high school building (which is now City Hall) and the characters Archie, Jughead, Veronica, Betty, and Reggie on his classmates from Haverhill High School. The "Choc'lit Shoppe" of Archie Comics fame was also inspired by an actual chocolate shop in operation on Merrimack Street in the 1930s. Haverhill has become familiar to riders of Amtrak's Downeaster train service between Portland, Maine, and Boston. 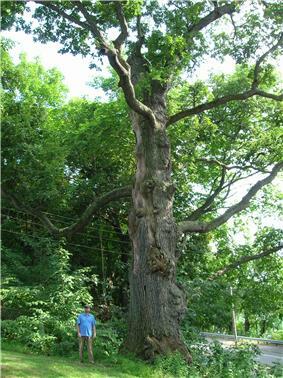 The conductors regularly refer to it as "the jewel in the crown of the Merrimack valley". Kevin Paul Hayes, professional guitjo player and member of Old Crow Medicine Show. John Greenleaf Whittier (1807–1892), poet; his poem Snow-Bound is set in Haverhill. Euterpe Boukis Dukakis (1904–2003), first Greek woman to attend college in the United States and mother of Michael Stanley Dukakis, longest serving governor of Massachusetts and presidential candidate, immigrated from Greece to Haverhill in 1913 and graduated from Haverhill High School in 1921. She attended and graduated from Bates College in Lewiston, Maine, and became a teacher. 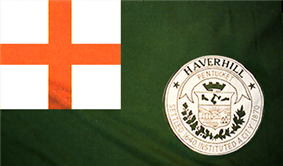 ^ Legendary Locals of Haverhill - Christopher P. Obert, Nancy S. Obert - Google Books. Books.google.com. Retrieved on 2013-08-02.